A professional line with an innovative, stable form of vitamin C which effectively brightens skin and restores its youthful radiance. Unique formulas lighten discolourations and even out skin tone. They counteract the results of photo and chronoaging while protecting the skin against the impact of environmental pollution. Active ingredients delay the formation of new wrinkles, reduce the ones already present and provide calm and younger-looking skin. To be used throughout the year. •	Vitamin C (ascorbyl tetraisopalmitate) – The cutting-edge, stable and biologically active form of vitamin C. It is more effective and better absorbed than ascorbic acid. It has a unique capability of penetrating deeper into the skin. It evens tone, brightens discolourations and eliminates the appearance of dull and tired skin. It restores the skin its radiance, rejuvenates it, improves the synthesis of collagen and prevents photo- and chronoaging. It has strong anti-pollution activity. 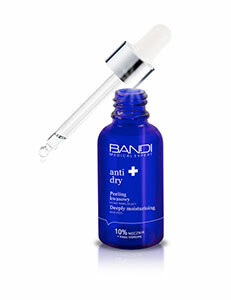 It protects the skin against the negative impact of environmental pollution and free radicals. It inhibits the oxidation of sebum which facilitates the reduction of imperfections. Non-irritant, recommended for use throughout the year, perfect for all skin types. •	Vitamin A of plant origin - A natural, floral equivalent of retinol. It shows very similar scope of activity and efficiency but lacks irritating properties. Safe for use throughout the year. It stimulates collagen synthesis, reduces wrinkles, leaves the skin smoother and brightens discolourations. It decreases hypersensitivity of blood vessels showing tendency to developing erythema and works as an antioxidant. •	Fermented Angelica oil - Angelica oil is an antioxidant that tackles wrinkles and intensively moisturises the skin. Thanks to the process of fermentation it is even more effective, better absorbed by the skin and does not leave a sticky sensation. Known and respected in Korean medicine for over 2000 years.